Mael Gael held their 2018 Lohri celebrations at The Centre Banqueting in Southall on Friday 26th January 2018. 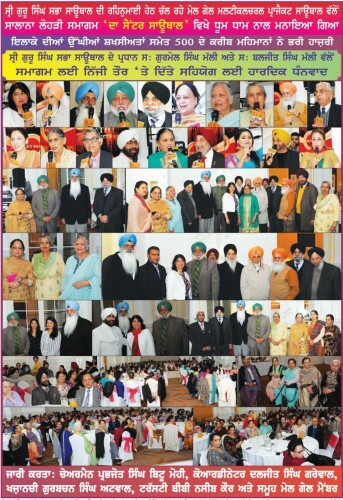 The event was attended by well over 450 members and was sponsored by Mr Gurmail Singh Malhi and Baljit Singh Malhi. Sucha Singh Chootapur, the former Punjab State Minister of Tourism and a former independent member of the Punjab Legislative Assembly was the chief guest. Seema Malhotra, the Member of Parliament (MP), for Feltham and Heston also attended the event. Mael Gael chairman, Prabhjot Singh Thind welcomed all the guests. Daljit Singh Grewal, Mael Gael Project Coordinator outlined some of the project’s key achievements over the past three years. Gurbachan Singh Athwal, Treasurer, spoke about sustainability and some of the environmentally friendly concepts that underpin the Mael Gael initiative. Mael Gael Trustee, Naseeb Kaur Jagdev thanked all the volunteers for their support in helping make the project such a huge success. 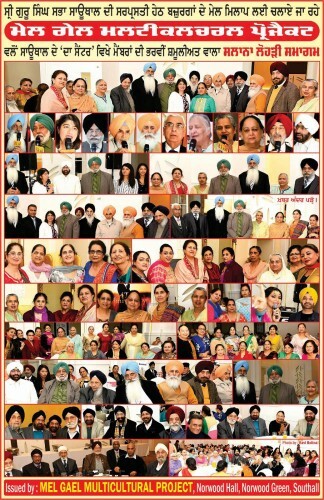 We’re also grateful to our ever present team leaders Jagjit Kaur Grewal and Harbans Kaur and the hard work put in by other members of the team: Harwant Kaur Dhariwal, Harpal Kaur, Gurdev Chana and Narinder Singh Sian.